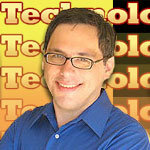 The first few years of PC history were its stone ageâ€“the era when any signs of life whatsoever were history-making. The period from 1985 to the present, as amazing as itâ€™s been, has been one of consistency and compatibility. Which is why I think of 1980-1985 as the most interesting half-decade in PC history. Almost every new system (including some that debuted in 1979) was still an experimentâ€“and even flops could be fascinating. Herewith a gallery of notable examples, illustrated with evocative drawings from Google Patents. With their advanced graphics and sound, I always thought of Atariâ€™s 800 and 400 as the first third-generation personal computersâ€“with the MITS Altair and its kin representing the first generation and the Apple II, Commodore PET, and Radio Shack TRS-80 the second. This 800 setup is uncommonly well-equipped, with two floppy drives, a tape deck, and what might have been considered a flat-screen TV in the early 1980s. Only two of the four joystick ports are occupied, though. If thereâ€™s a heaven for old PCs, Radio Shackâ€™s TRS-80 Model II probably shares a bunk bed there with the Apple III. Both were follow-ups to hugely popular computers. Both were aimed at business users. Neither was compatible with its predecessor. And both were flops. I only saw one Model II in the wildâ€“my friend Charlesâ€™s father had one in his office. 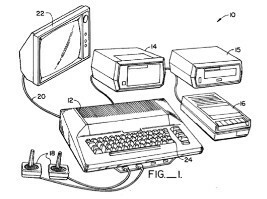 technologizer ageâ, Apple, data processing system, flat screen tv, google patents, joystick ports, Model, radio shack trs, stone, technologizer. permalink. I know that there are still people who use their 1040 daily, mostly in the music bussiness … ! Now I really feel old. I remember using the TRS-80 “I” in school thinking that it took more work to get anything out of this thing than it was worth!! I thought it was a glorified adding machine. Then when I got to play with a tandy 1000 I thought WOW you can play games on these things. Someone gave me a clamshell Pc and the compac “laptop”. At the time both were still working (come on and displayed something) but I couldn’t get either to understand anything I input so they went in the trash, I’m sorry to say–I wish I still had for show and tell. My daughter and I now play games on a Q6600 w/ Geforce 275 and 2.75Gb HDD… What will my daughter be playing on in 2045???? WOW (@-@) It boggles the mind!! 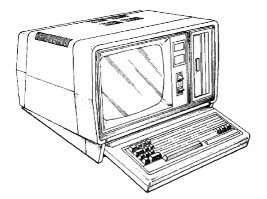 I do remember the Trs 80 computer. I think the nick name it had says it all. Me and my friends call it the trash 80 and I’m very sure we weren’t the only ones that called it that. No mention of lowly Osborne? I bought a used paperpunch typesetting machine in 1982 because someone had come up with a computer interface forit using the Osborne. The first thing I did on buying the Osborne was to get a 12″ monitor for it. After getting used to it, I checked out the Basic Programming disk that came with it. I wrote a program that would display my son’s name after any key was touched. The seven-year-old was thrilled. He began studying the manual, trying everything out. Now, many years later, he is a Google Senior Programmer. Great trip. For another ghost in the machine, look up the history of the Otrona computer company. Lots of material there.